Think that drugstore brand cosmetics can’t stand up next to those department store brands that you swear by? Guess again. 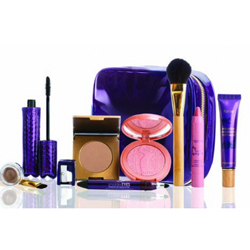 We love the idea that we can get fabulous beauty products for a bargain and look chic! We’ve scoured the aisles of our favorite drugstores to bring you a list of the best products that are worth adding to your makeup bag. Tinted moisturizers are the beauty world’s way of making our lives more convenient and we are obsessed with this one. 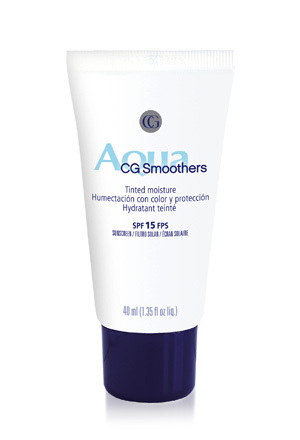 It’s the perfect lightweight moisturizer that is slightly tinted to help even out your skin tone. Did we mention that it has built-in SPF 15 too? 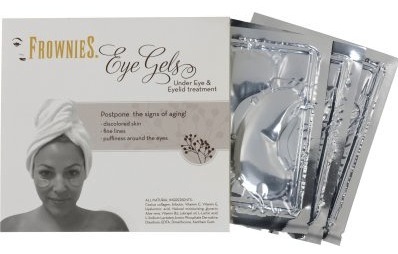 The gel formula glides on easily for coverage that is super smooth and natural-looking. You can layer it under your makeup or by itself. It’s perfect to wear to the gym or when you’re running weekend errands and want a little coverage. Whether you’re spending the hot summer months at work or at the beach, there are essential beauty tips every woman should keep in mind to achieve the perfect look this summer. Whether your applying concealer, lip liner or blush, be sure to blend colors and makeup to create a natural summer look. Defined lines and mismatched colors can lead to a disastrous look for the summer. When applying concealer around your eyes, be sure to blend. Also, remember to switch to a darker shade if you have been out in the sun. When applying lip liner or eyeliner, stay in line. Cat eyes are great, but tone down the look for the summer. When applying lipstick, trace your lip line and avoid an unnatural look. Same goes for your eyes. If you plan to extend your line beyond your eyes, keep it natural. Check your neck. This is a common mistake year-round, but needs particular attention during the summertime. Since you are out in the sun, your neck may not match that fabulous natural tan. Dab some bronze powder on your neck, making sure you match! As you update your wardrobe with the hottest summer gear, the same should go for your makeup. Make sure to rid your makeup bag of any old makeup. Toss any products that have changed color, consistency or have a bad odor—since makeup is always in contact with germ-prone areas like your eyes, mouth and fingers. Dark lip shades can look aging. To keep in line with this summer’s makeup trend—go natural. Grab your favorite gloss to go and apply throughout the day, brightening your face and complimenting your natural summer glow. The hot summer weather doesn’t necessarily have to affect your summer makeup application. Switch to waterproof makeup for the summertime. Whether off to the beach or a day at the office, avoid smudged black makeup under your eyes. A little summer glow can really brighten your face, but don’t overdo it. Go natural this summer. When stepping out into the sun, be sure to protect your skin. Opt for a lotion that contains SPF 15 and higher to avoid burning your face, which may lead to peeling. 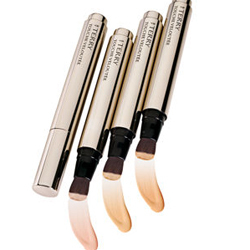 Don’t forget to switch your concealer to match your new darker shade. And, be sure to steer clear of products that give you an orange tone. As the founder and creative director of “Studio Sush” she has been a personal consultant to more than 900 brides. Susmta has impeccable training having begun her career at the New Jersey Capri Institute in 1996 from which she earned her cosmetology license. To further hone her skills, she attended the legendary Joe Blasco School of Makeup Artistry in Hollywood, CA and received her diploma in makeup artistry and special effects makeup. Joe Blasco is credited with creating the most comprehensive series of encyclopedic textbooks for the professional make-up artistry. The series, entitled “The Professional Make-up Artist” featured Susmta in all three volumes. Susmta has consulted for some of the beauty industries most prestigious brands such as Shiseido, Lancome, Versace, Christian Dior, Dr. Nicholas Perricone, Laura Mercier and Clinique. At the famed Completely Bare Salons in Manhattan and Scarsdale, Susmta was revered by clients for her prowess in full body waxing, permanent hair removal and eyebrow threading. Susmta was also the key makeup artist on the set of the Bollywood Film “Sama” and has judged Miss India worldwide beauty pageants. As a makeup artist, beauty expert and personal stylist, she is able to translate her passions into stunning metamorphosis for bridal and other special occasions. Her uniqueness stems from her visual analytic ability. She has an amazing sense of a woman’s face in only a few seconds and creates a unique look based on the individual’s personality. She works with spellbinding speed and clinical accuracy to lend attention to detail that compliments film and photography. Although Susmta is capable of creating any look desired, she does not push the latest trend on her clients. “It’s about you and your personality as an individual,” she says. “I work to enhance your natural beauty.” Susmta is a one woman “beauty machine” and travels worldwide providing her clients with one-stop makeup, hair, and eyebrow threading services. Susmta believes that providing ‘the total look’ for her clients enables her to truly customize a synergistic outcome that reflects the personality and aesthetic goals of each woman.